Royalty is upon us! 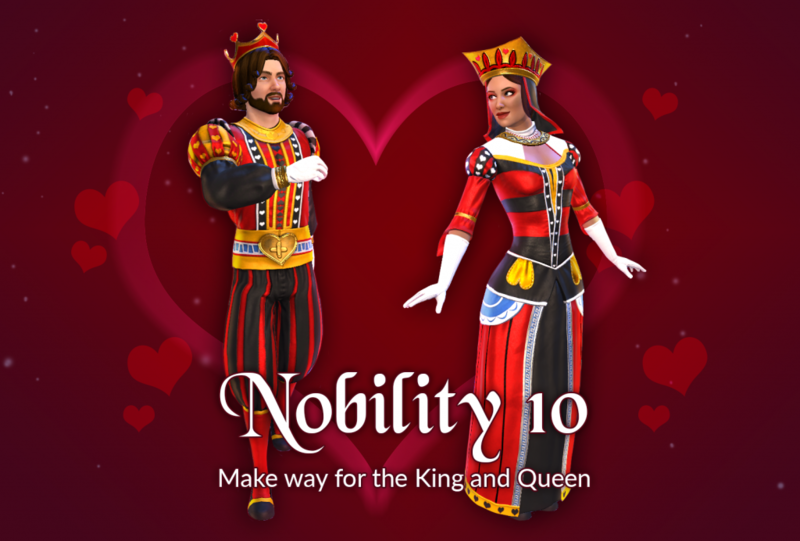 Our most dedicated players can win the hearts of their loyal subjects with these King and Queen of Hearts outfits when levelling up to Nobility 10. Nobility 10 is now live for Facebook and Steam, and will be available later this month for PS4. Have a great idea for an outfit in The Four Kings Casino? Come join the conversation over on our new Facebook Community Page, or add to the thread on our Forums. Your clothing idea may make it in to a future update!